This house was built in 1730 and still keeps original roofs, floors, doors and windows. 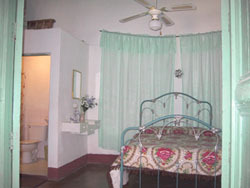 Rooms provided with air conditioners, private barthrooms (hot water). 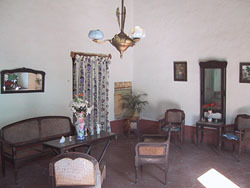 Small hall, living room, dining room, yard and garden. 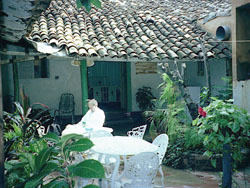 The house has an atmosphere of ornamental plants. 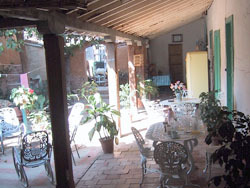 It also has tables and chairs to rest or take a knap, breakfast or dinner as you wish. It is located at only a few meters from the main square at the town’s center and at 700 meters from the comercial area and "El Parque Cespedes".